I have been a pediatrician for 25 years and a medical cannabis specialist for the last nine years, assisting thousands of adults and children with serious medical conditions in using cannabis treatment. I have evaluated hundreds of children with severe epilepsy, autism, and cancer, and have seen many obtain an incredible improvement in their quality of life with cannabis medicine. In medical school, I was taught that cannabis was a drug of abuse. I never thought of it as a medicine until I saw a friend with a serious illness has incredible benefits from it. I started researching the scientific literature and was shocked to find that cannabis had so many medicinal properties. Since cannabis is classified by the federal government as an illegal substance, clinical trials in humans have been largely prohibited. However thanks to curious and diligent scientists, we have an advanced understanding of how cannabis works as a medicine. 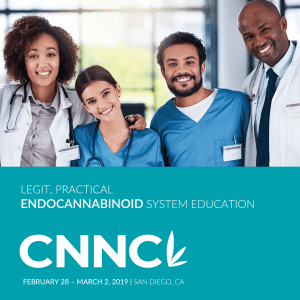 Plant compounds, called phytocannabinoids, work by interacting with a complex system in the brain and body called the Endocannabinoid System (ECS), a signaling system responsible for maintaining the balance of the chemical messages sent between cells. We, humans, make compounds called endocannabinoids, “cannabis-like” molecules that are similar to the plant cannabinoids; endocannabinoids work to maintain homeostasis, the balance of our cells. If you have an imbalance in these compounds, the disease may result. We have only known about this system since 1988, but recent research has allowed us to understand it is critical in the manifestation of disorders previously not been well understood or effectively treated. There is a growing body of evidence that children with epilepsy, autism, and other severe conditions have a dysfunction within their ECS. When not working properly, the chemical messages in the brain are not balanced, and this imbalance is expressed as seizures, abnormal behaviors, and overall poor quality of life. I am often asked why I recommend cannabis to children when THC is thought to be bad for the developing brain. Research shows that a normal functioning Endocannabinoid System is required for the maturation of the developing brain. Adolescence is a time when the developing brain is vulnerable. Interference in the normal brain growth that leads to a healthy adult brain might alter brain maturation. Studies looking at otherwise healthy teenagers who use chronic heavy doses of THC has shown that there may be increased problems with executive function, impulsivity, memory deficits, attention deficits, and lower overall and verbal IQ. There are other variables involved in assessing these attributes, but the bottom line is that in a child or adolescent who is medically well, THC should be avoided so that the ECS can do its thing — function without interference and lead to the desired result: a healthy and mature adult brain. What about children that are not medically well? Since we lack critical studies, we don’t necessarily know long-term effects. But we know that phytocannabinoids, such as THC (tetrahydrocannabinol) and CBD (cannabidiol), have tremendous medicinal value with anticonvulsant, antioxidant, antianxiety, antipsychotic, anti-inflammatory, and antitumoral properties. 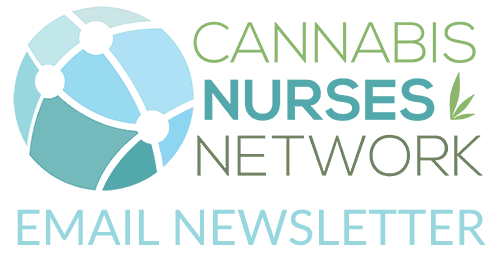 It is important to note there are no long-term studies of cannabis use in seriously ill children, but those of us who are treating children with cannabis medicine is not witnessing any negative long-term effects. In fact, we are seeing children who previously had very poor prognoses with uncontrolled seizures, developmental delay, and cognitive dysfunction now progressing developmentally instead of regressing. Many can stop using toxic medications that may not have been effective. We cannot compare the healthy teenagers that are chronic heavy users of imbalanced THC-rich cannabis – behavior that may result in interference of normal development – with severely ill children using cannabis that may repair the dysfunctional ECS. Children suffering severe disease and not responding to conventional treatment and experiencing intolerable side effects should have an option to use cannabis medicine, as the underlying cause may be within the ECS. I have found excellent results using cannabis medicine for children who have intractable epilepsy. These patients have tried numerous antiepileptic medications without success and have devastating consequences of ongoing seizures. The burden of this difficult disorder and subsequent negative impact on quality of life has triggered a parent-led movement advocating the use of CBD-rich cannabis. Research shows that people with epilepsy may have an endocannabinoid deficiency, leading to overexcitation of neurotransmitters in the brain, leading to the abnormal firing of the brain cells. Evidence also points to significant neuroinflammation. Although more research is needed, we know that CBD enhances the brain’s endocannabinoid levels, enhancing the endocannabinoid system. Also, CBD modulates the flow of calcium and potassium in neurons, thereby stabilizing these cells. Additionally, CBD works as an anti-inflammatory, blocking the formation of pro-inflammatory compounds and reducing toxic substances, resulting in a brain that is less inflamed. CBD, with its many mechanisms of action, acts at multiple targets in the brain. This is why it works well for epilepsy. Since CBD does not activate the cannabinoid receptor the way THC does, it does not cause tolerance, and as it is not psychoactive, it is an ideal compound for pediatric patients. One of my patients, a little girl with complex medical issues including intractable seizures, came to my office at nine years of age with significant delayed cognitive development, due to both her uncontrolled seizures and a cocktail of anticonvulsant medications. After two years on CBD oil and discontinuation of the pharmaceuticals, she had significant reduction of seizures. Most remarkably, she had learned to read and write during this time, skills her parents never thought she would achieve. This example shows that the brain can heal and develop in children on cannabis medicine. Many parents also come to my office seeking help for their children who have Autism. Although the FDA has approved two medications, both antipsychotics, for treating the irritability associated with autism, they have very significant side effects, may not be effective and thus leave these families without a solution. CBD+THC and THCA cannabis preparations in dozens of children with Autism. Many parents report improvement in their children, seeing less anxiety, better sleep, improved speech, better focus and learning, and fewer tantrums. Parents of children with cancer often seek cannabis medicine to help their children with relief of symptoms from the adverse side effects of chemotherapy and radiation. In some cases, having been told the cancer treatment is not working, parents are desperate to find a cure. Cannabinoids have been shown in animal studies to inhibit tumor growth, cause cancer cells to commit suicide (apoptosis), inhibit metastasis and inhibit the growth of new blood vessels in tumors. Additionally, cannabinoids have also been shown to enhance effects of certain chemotherapeutic agents. There is only one published study in humans that used THC in nine patients with glioblastoma multiforme, an aggressive brain tumor. The study concluded that THC was safe and it inhibited cancer cell growth. Recently a second trial reported by GW Pharmaceuticals showed a longer survival rate for subjects on THC and CBD compared to placebo. Despite these promising results, we lack critical human research that answers the questions of which specific cancers respond to cannabis, which cannabinoids to use, what dose to use and what duration of treatment is needed to achieve survivorship. The parents of my patients with cancer are convinced that the addition of cannabis to the child’s regimen has helped them to achieve improved quality of life and in some cases, reduction of disease. Some patients come to me too late in their course, but they often have relief from symptoms and a decent quality of life before they pass. 1. Most are using cannabis in an oil preparation, easily measurable and taken sublingually or ingested. The oil should be concentrated. The more concentrated the oil, the smaller the volume that needs to be taken; this is easier to give to an uncooperative child. 2. The consistency of strain is extremely important as epilepsy patients may only respond to one particular strain. 3. All oils must be tested for potency, terpenoid content, and presence of contaminants, residual solvents, and pesticides. 4. The oil supply must be reliably available as it is catastrophic for a child with epilepsy who has lower or discontinued other medications not to get their oil. 5. The oil should be affordable. Some parents report that they cannot increase doses because the out of pocket cost is too much. Izzo AA, Borrelli F, Capasso R, Di Marzo V, Mechoulam R. Non-psychotropic plant cannabinoids: new therapeutic opportunities from an ancient herb. Trends Pharmacol Sci. 2009 Oct;30(10):515-27. De Petrocellis L, Ligresti A, Moriello AS, Allarà M, Bisogno T, Petrosino S, Stott CG, Di Marzo V. Effects of cannabinoids and cannabinoid-enriched Cannabis extracts on TRP channels and endocannabinoid metabolic enzymes. Br J Pharmacol. 2011 Aug;163(7):1479-94. Mechoulam R. Plant cannabinoids: a neglected pharmacological treasure trove. Br J Pharmacol. 2005 December; 146(7): 913–915. Krueger, Dilja D., and Nils Brose. “Evidence for a common endocannabinoid-related pathomechanism in autism spectrum disorders.” Neuron 78.3 (2013): 408-410. Zogopoulos, Panagiotis, et al. “The antitumor action of cannabinoids on glioma tumorigenesis.” Histology & Histopathology 30 (2015). Guzman, M., et al. “A pilot clinical study of Δ9-tetrahydrocannabinol in patients with recurrent glioblastoma multiforme.” British journal of cancer 95.2 (2006): 197-203. Miyato, Hideyo, et al. “Pharmacological synergism between cannabinoids and paclitaxel in gastric cancer cell lines.” Journal of Surgical Research 155.1 (2009): 40-47. Nabissi, Massimo, et al. “Triggering of the TRPV2 channel by cannabidiol sensitizes glioblastoma cells to cytotoxic chemotherapeutic agents.” Carcinogenesis 34.1 (2013): 48-57. Donadelli, M., et al. “Gemcitabine/cannabinoid combination triggers autophagy in pancreatic cancer cells through a ROS-mediated mechanism.” Cell death & disease 2.4 (2011): e152. Di Marzo, Vincenzo, Maurizio Bifulco, and Luciano De Petrocellis. “The endocannabinoid system and its therapeutic exploitation.” Nature Reviews Drug Discovery 3.9 (2004): 771-784.